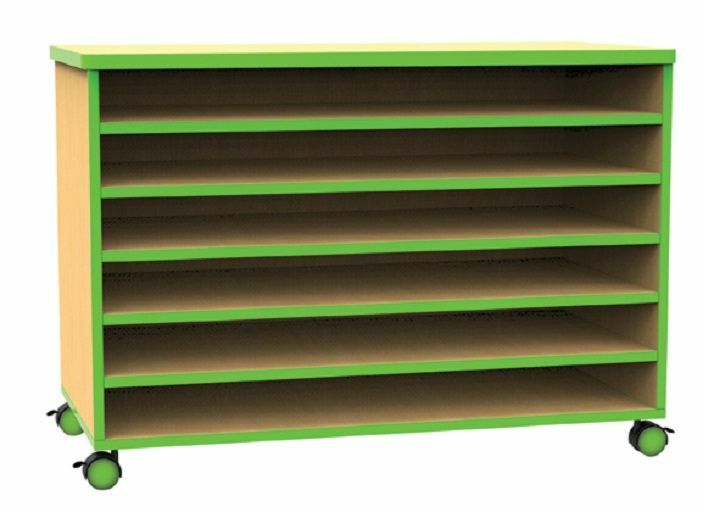 Mobile classroom art storage unit with coloured edge detail, matching castor covers in a choice of five contemporary colours. Constructed from 18mm MDF and finished in Beech. Designed for A1 size paper. 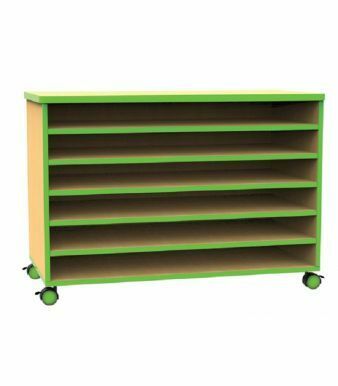 Ideal for the storage of artwork. Five-year factory guarantee. Delivered assembled and free to mainland UK. 15 - 20 working day lead time.